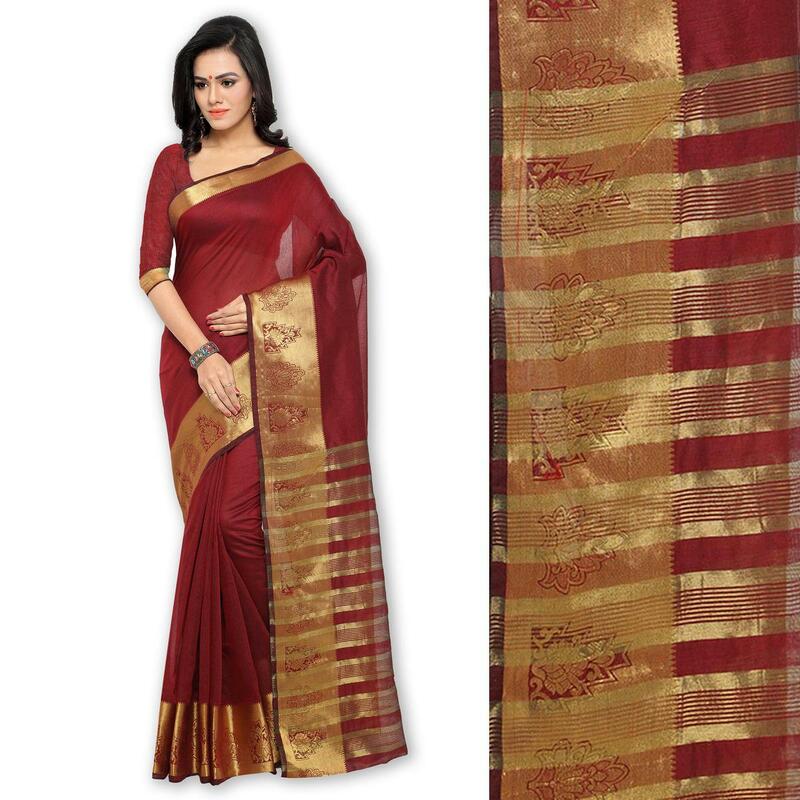 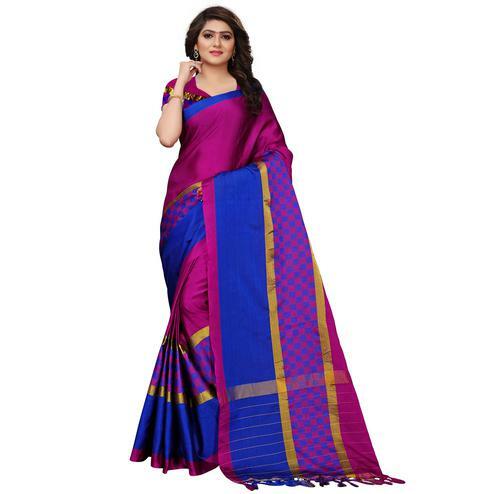 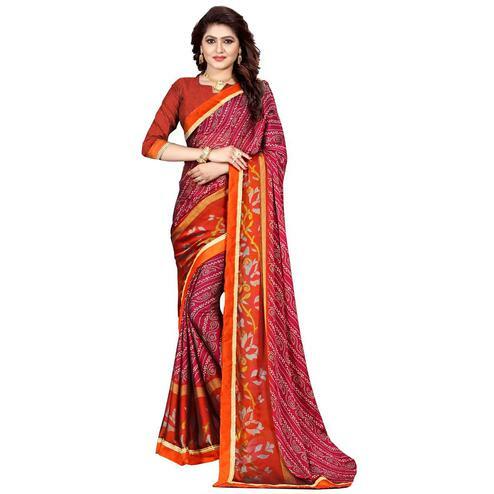 Add grace to your looks wearing this beautiful maroon polyester cotton silk saree. 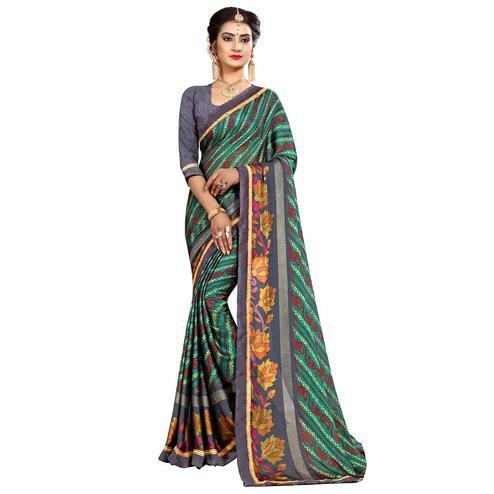 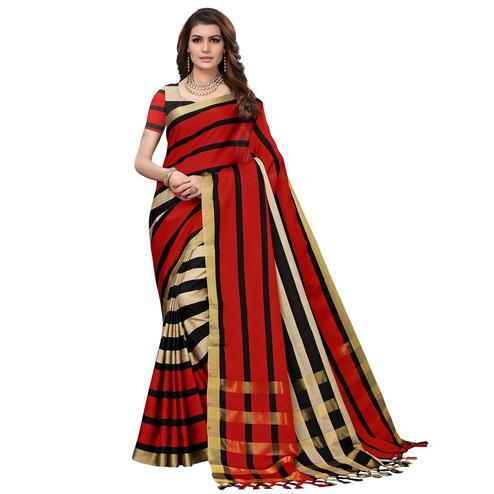 This simple & classy design saree is enriched with geometric stripes & traditional design jacquard work. 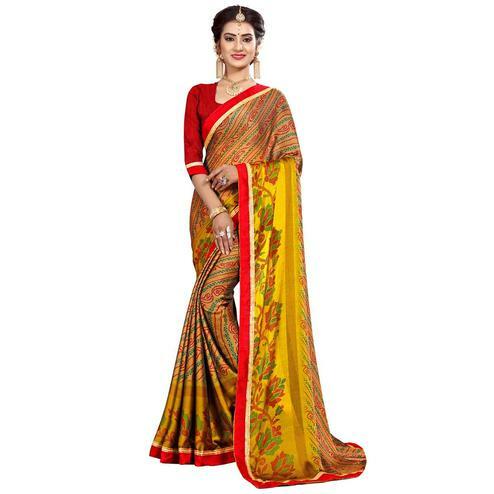 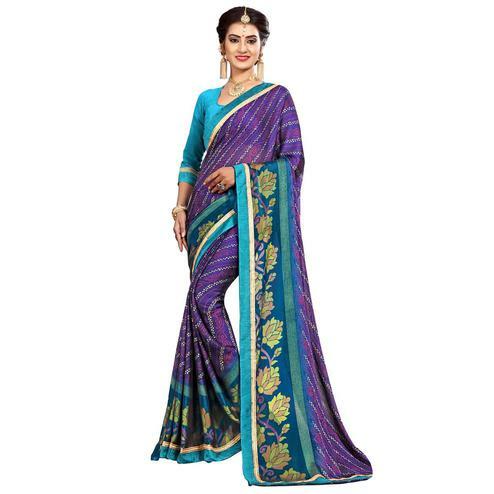 Saree comes along with matching fabric blouse piece. 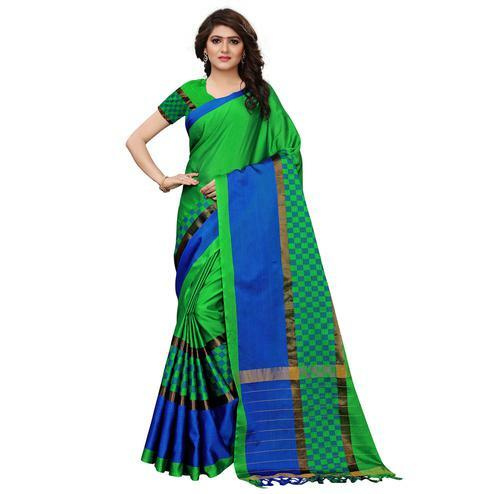 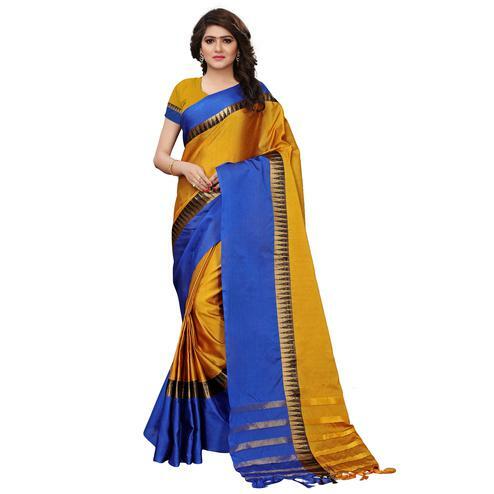 It's a perfect saree for casual wear.